A beautiful vacation spot, the Amalfi Coast is a known escape for foreigners and Italians alike. With dozens of small towns dotting the coastline, there is easily a place for everyone. Positano is the quintessential Amalfi destination, known for its scenic views, quaint architecture, good food and shopping. 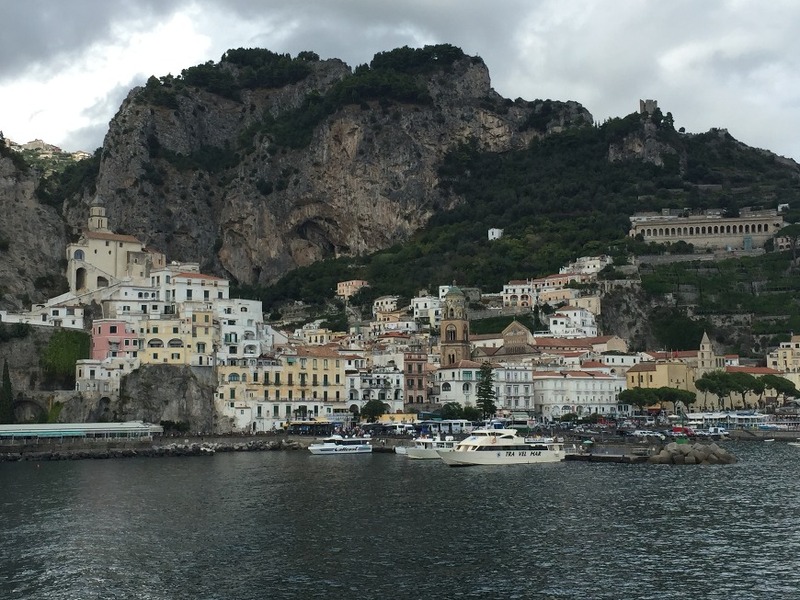 The actual “Amalfi” town is home to the 9th century Cathedral of St. Andrew and a beautiful town square. There, you can shop for tourist trinkets, stop for gelato and take in views of Ravello, the town within the hills (several of the pictures posted here feature views of Ravello). Excited to go yet? If so, there are a few important things you should know before planning your trip. There are no trains or large airports on the coast (the closest landing strip is in Naples), so your main options are car, bus, or shuttle, and unless you’re an experienced Italian driver, we strongly suggest hiring a car service and letting the natives show you how it’s done. Other means of transportation: by boat or on foot, both of which are subject to weather but great for picture-taking. Once you’re ready to go, here’s where we recommend you stay and eat: Hotel Marmorata in Ravello, where the rooms are built into the cliffs and Amalfi is just a ten minute ride away. Then if you’re looking for a more relaxing spot for lunch (Amalfi is great for food but there’s a lot of hustle and bustle) we suggest you check out Sal De Riso in Minori, a quiet little beach town down the road from Ravello. One thing you absolutely should try: a lemon tour. The Amalfi Coast is known for their lemons and you’ll likely see lemon trees as commonly as you would an oak or maple back home. Then for a luxurious dinner, you’re in luck because after a long day of sight-seeing, the restaurant at the Hotel Marmorata is second to none (note: make your reservation that morning to ensure you get a table). All in all, if you’re looking for a relaxing place to stay with impeccable food and gorgeous views, it’s hard to go wrong in Amalfi.